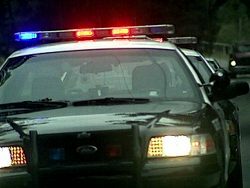 Original: A wanted suspect fled authorities in a high-speed chase through Atascadero and Paso Robles Thursday night and managed to evade capture, for a second time in less than a week, according to police. On March 26, Paso Robles police were attempting to pull over 36-year-old Colleen Rambo because of an outstanding warrant for her arrest. As Rambo fled, she crashed into a parked car. She is now facing charges of hit-and-run and evading police.